News - Sage Automation Inc.
Sage is proud to announce our latest ASRS system. It’s the fastest gantry we have ever produced. At speeds of up to double previous gantry speeds, virtually any product can be handled at high speed. The system is now functional at our headquarters and will be installed in the customer facility in next 60 days. A new video of the system will be featured here on our site as well as our Youtube channel (www.youtube.com/sageautomation) to showcase the design from our latest research and development efforts. Subscribe to our news to receive emails when new press information is released. Sage Automation has introduced a new website to make browsing, information gathering, and communication with us more intuitive. As for now, the original information has been converted over to a more modern web development environment to make the most of today’s technology. Constant improvements such as file transfers, direct contact, and updated news and information is to be expected as the site sees more traffic and our customers demand more from a corporate web presence. Feel free to browse around and contact us at your leisure once you take in all that the site has to offer. Don’t hesitate to let us know your thoughts on the new site and how we can improve it. We look forward to your feedback and hope to form new partnerships with our many vendors and customers as our web presence becomes more pronounced. 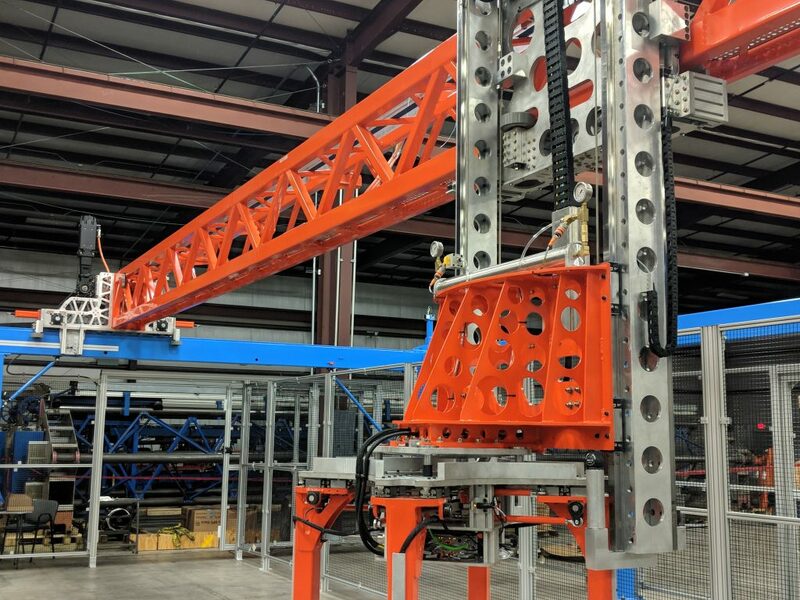 Sage Automation Inc. is an original equipment manufacturer (OEM) of gantry style robots as well as a certified integrator for various brands of articulated arms. Visit our HQ for a tour of the facility and meet our team. You might even see some of our latest robots working in a live production environment. Copyright © 2018 Sage Automation Inc.